Toronto developer Kastriot Sulejmani had announced a Kickstarter for Dashy Square, and with the successful funding, the game is now out on Steam. 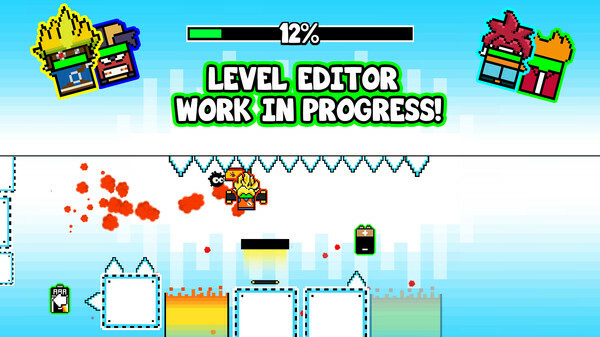 Dash, jump, fly and wave your way through epic levels with rhythm-based gameplay! Do you have what it takes? Follow the beat as you play levels or endless waves while staying in tune with the rhythm of each song. Join what could possibly be the impossible game to beat! The game is only $3.29 on Steam, but can also be picked up on iOS, Android, and Windows Phone. Make sure to also follow the developer on Twitter, and let him know what you think of the game.